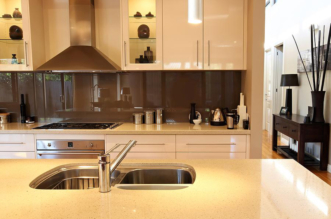 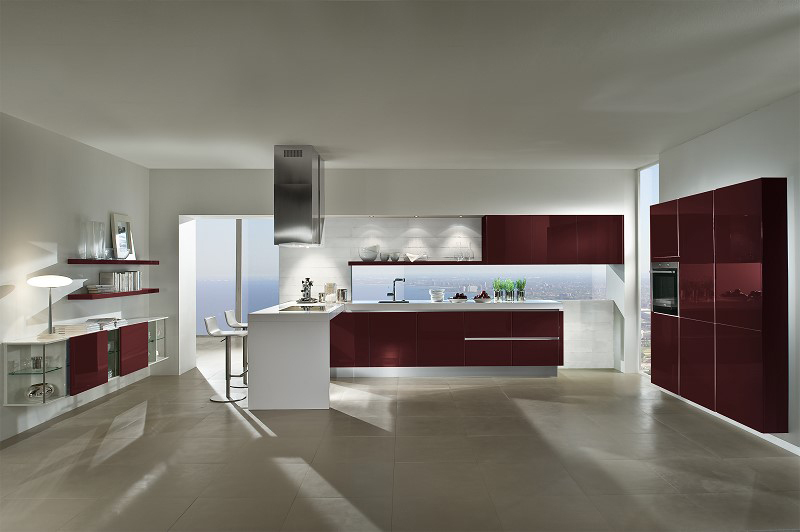 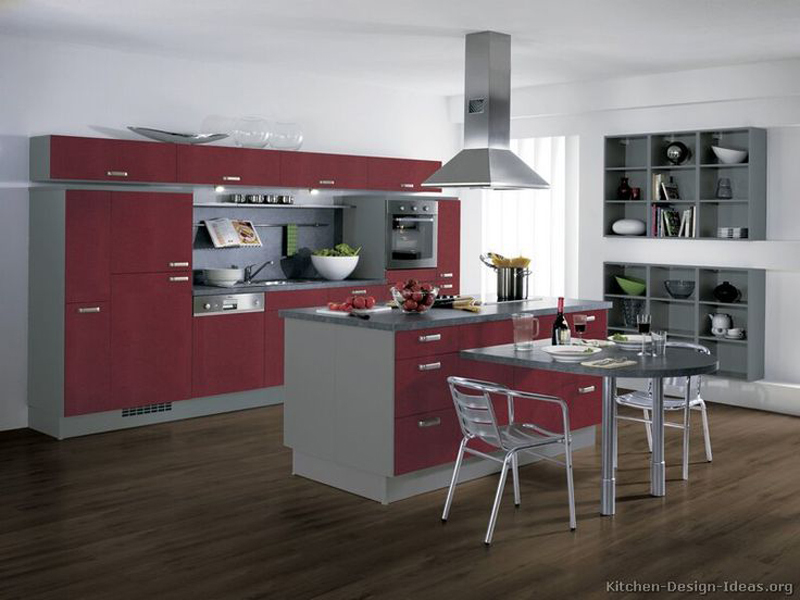 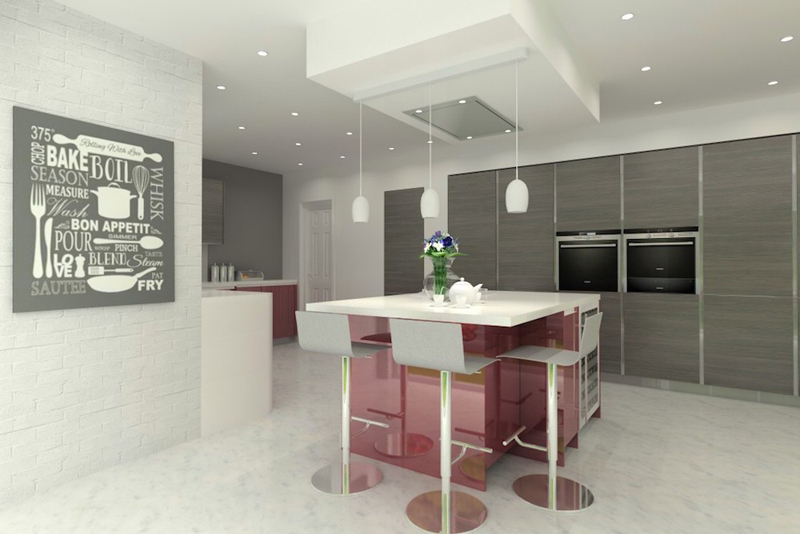 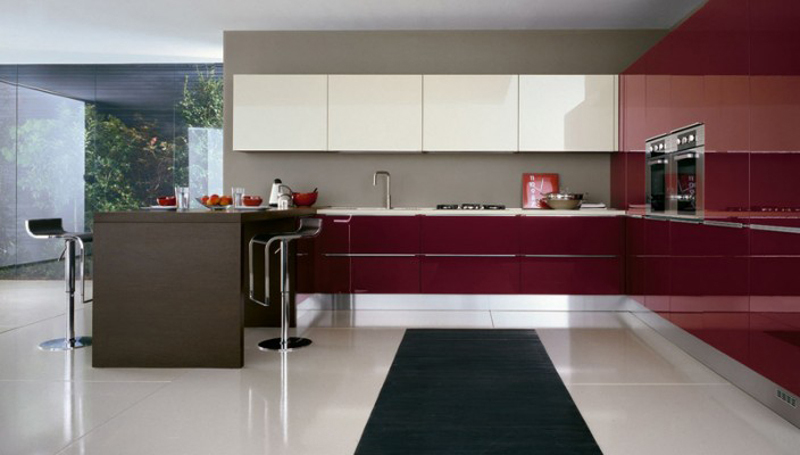 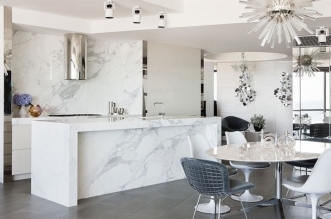 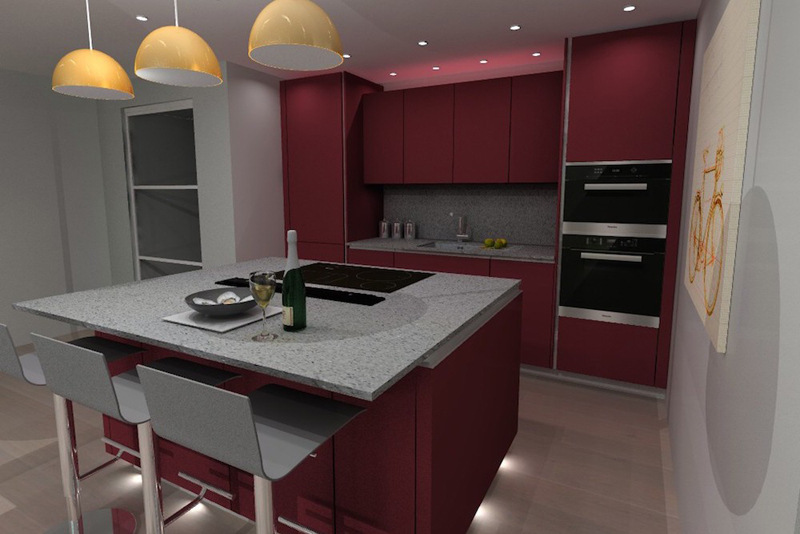 Red is a popular color, whether by itself or as an eye-catching element or elegant accent for darker kitchen. 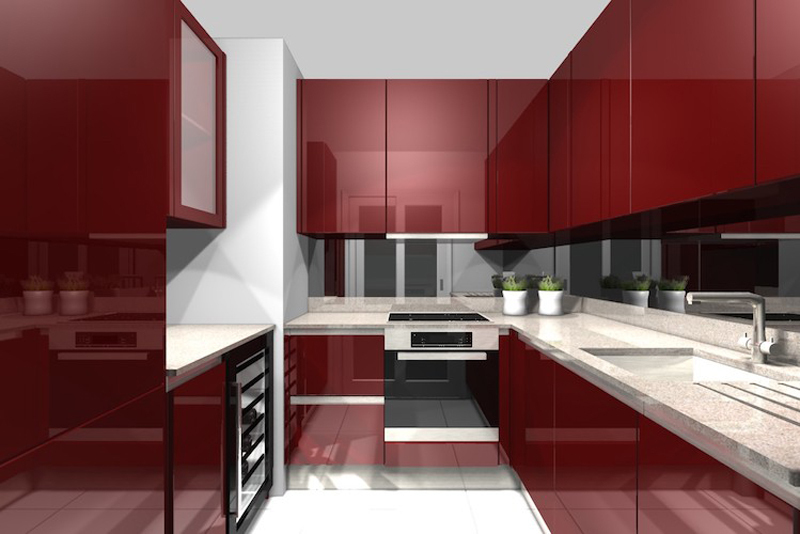 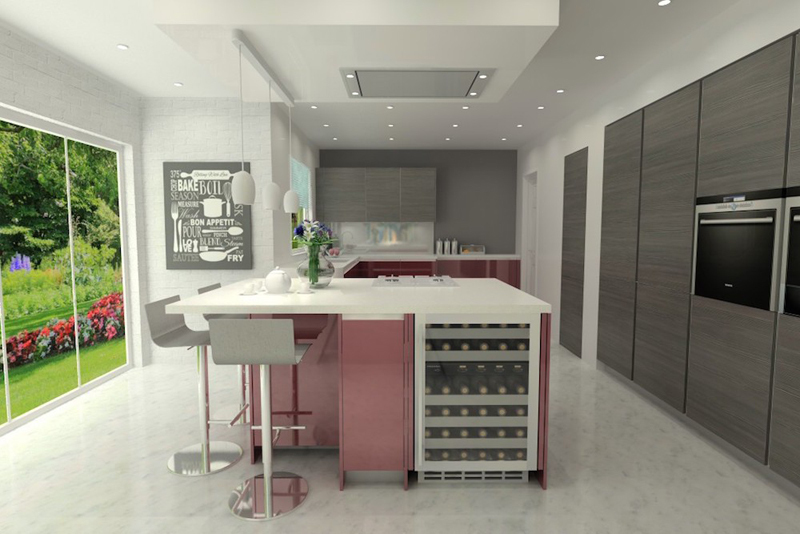 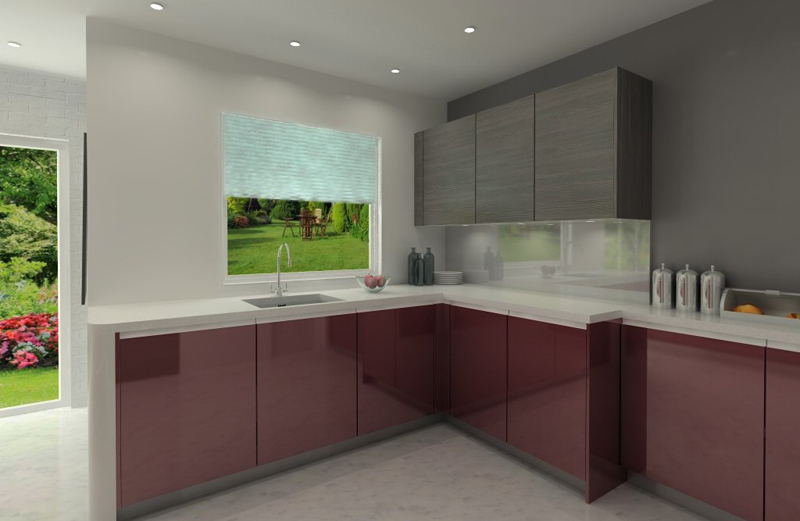 Like the color of a fine wine, the red tone of the gloss glass kitchen is deep and rich, with a beauty far beyond its outer exterior. 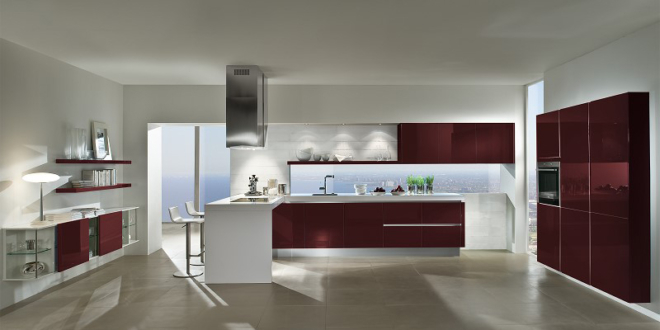 This quality ensures remarkable gloss finish equally with a highly reflective surface shine parting from that impressive tone. 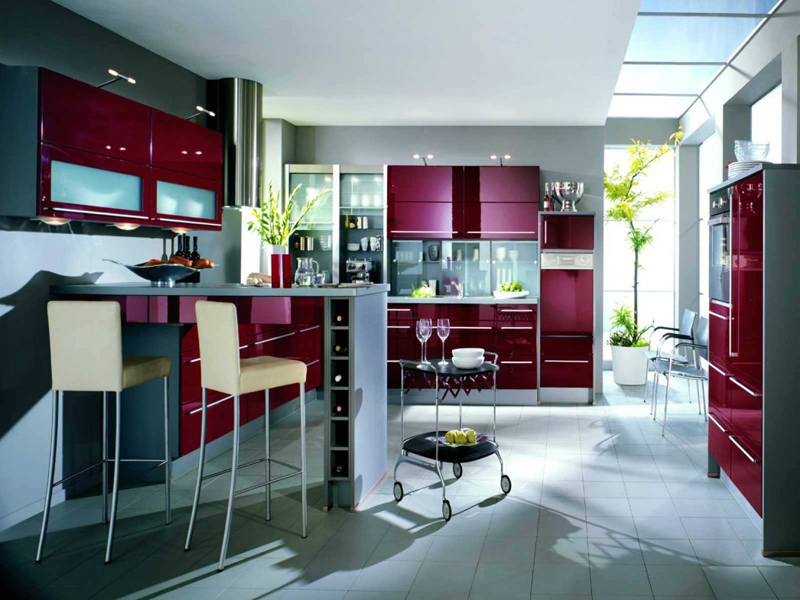 Red wine color will bring to your kitchen romantic atmosphere with its elegant and rich symbol giving at same time dramatic element in whole composition of space.